Dino Dan fans, it’s time to join Trek and learn about some of the coolest dinosaurs yet! 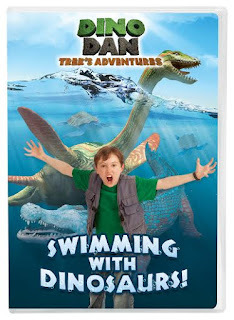 Dive into dino adventures in the water on the new DVD Swimming with Dinosaurs! (SRP $9.99). My kids loved this DVD but they do all the Dino Dan series. They watch it every night before bed and I love how much they are learning!